Utilising our company's own unique patented brickwork Gauge Tape, Pre-Fix Gauge Systems LTD specialise in the installation of the full range of Ancon® wall tiles and restraint fixings, which are an essential element in the stability of masonry panels, to Structural Frame buildings supplied in a wide range of lengths and types for restraining all types of masonry construction from our extensive stock. 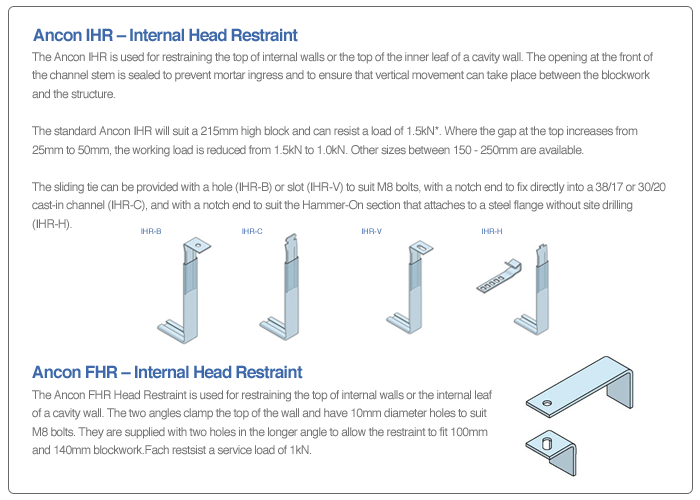 Our service also incorporates the installation of the complete range of head and brickwork restraints. 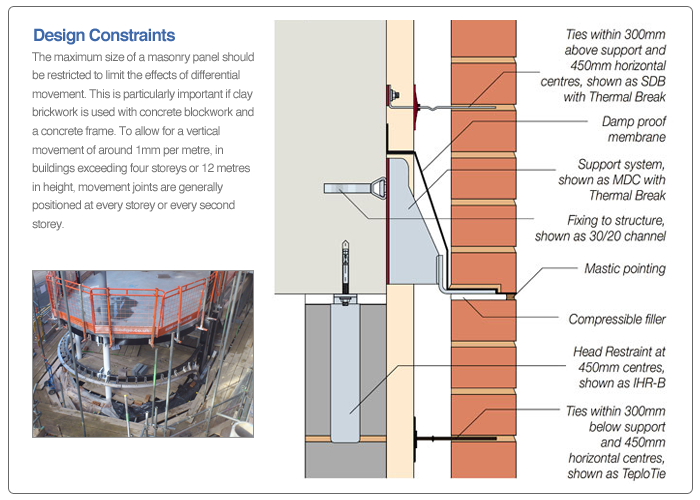 This provides the necessary restraints required to the tops of masonry walls which then in turn will allow vertical movement to help accommodate shrinkage of thermal movement of the wall or structural frame while restraining wind loading. Masonry cladding on concrete or steel frames is normally supported from stainless steel support systems. Where possible the Ancon® Optima off the shelf support system is a very versatile product eradicating the need for design and only an approval from the project engineer. Where the system cannot be utilised a bespoke MDC system is available for elaborate designs, masonry features, curves and arches. 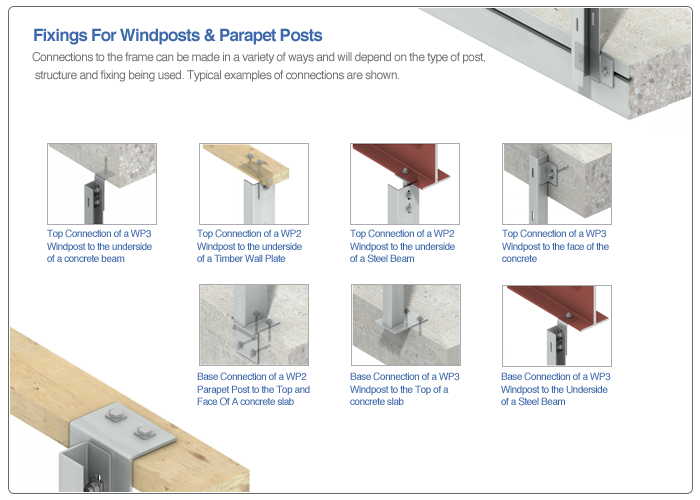 Our specialist service also incorporates the supply and installation of Ancon® windposts which are usually included where large panels of masonry or panels within openings can often be difficult to justify structurally. Ancon® windposts are designed to provide additional lateral support for panels of brickwork. The range is manufactured from stainless steel and includes windposts which can be installed into the inner leaf of block work and windposts for installation into the cavity which leaves the block work undisturbed. Pre-Fix Gauge System also offers the fabrication and installation of mild steel windposts to a pre determined contractors design. 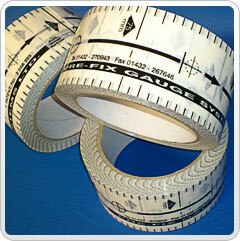 Eliminate inaccurate coursing and fix frame cramps in advance of masonry with Prefix Gauge Tape. Prefix Gauge Tape features the standard 225mm brick/block gauge and clearly indicates the fixing position of frame cramps. The tape is applied directly to the structural frame. It provides a visual reference that eliminates inaccurate coursing and can improve the quality of external brickwork. Use of the tape can also accelerate the speed of construction. It allows frame cramps to be fixed at accurate vertical centres for the full height of an elevation in advance of the masonry. Pre-fixing frame cramps allows bricklayers to concentrate on their trade and is recognised to increase work rate. 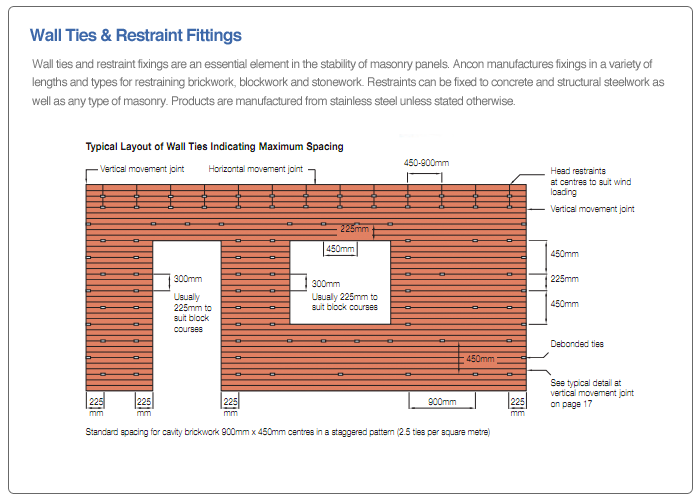 It also enables a pre-build check that wall restraints are located correctly and securely fixed. Whole sections of masonry can be raised without time consuming re-adjustments. More than one elevation can be worked on simultaneously, increasing productivity and resulting in faster weatherproof structures. The gauge tape is hardwearing and waterproof. It is produced on high quality laminated film and supplied in rolls of 33 metres.